The best of Maui's ocean adventures in one unforgettable trip! 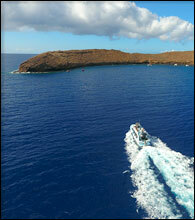 We are your guide to the best Molokini snorkeling and whale watching tour of your life! Your veteran Captain will choose two locations with the best overall conditions for your safety and enjoyment. We extended our trip longer than the other boats to provide additional time to show you some extraordinary places. 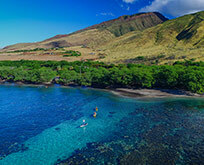 Favorite destinations include Molokini Crater, Coral Gardens, and the famous Turtle Town. 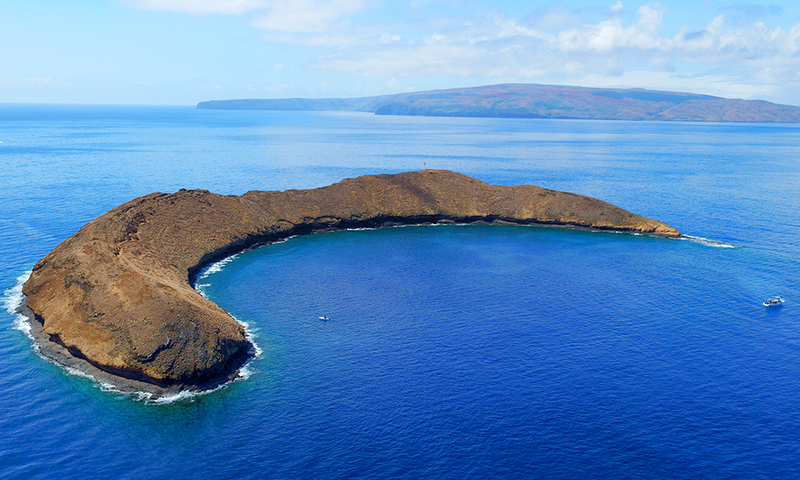 Enjoy unsurpassed water clarity at Molokini Crater, teeming with a variety of colorful fish and coral. 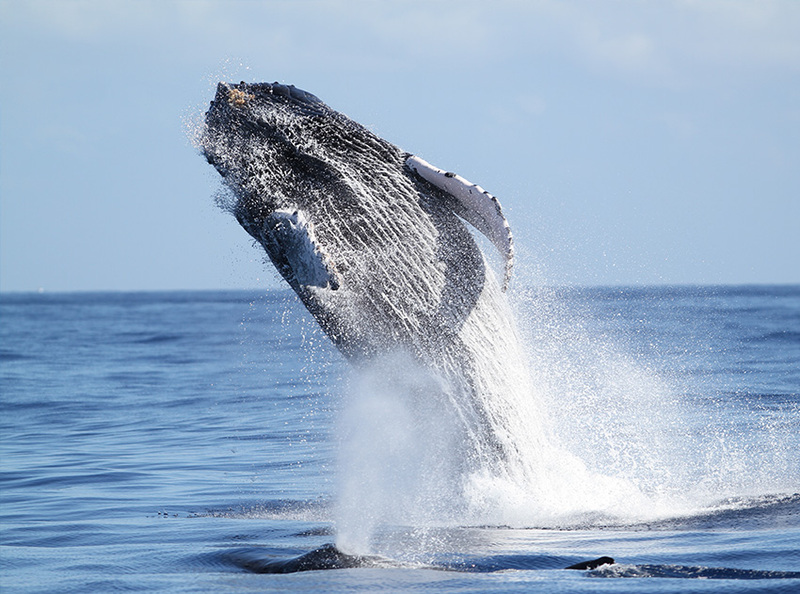 We’re also proud to offer the best whale watching in Maui. 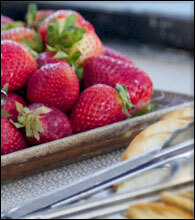 Start your trip with an awesome continental breakfast prepared fresh onboard. Snorkel in the underwater wonderland of Molokini Islet. 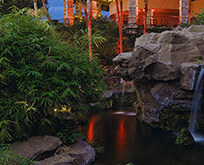 Here you will witness the unique coral reef and abundant sealife including tropical fish, turtles, and rays. We provide a delicious lunch that is both healthy and hearty, cooked by our onboard master-chef. To end you trip you’ll refresh with juice, tropical cocktails, or ice cold beer. 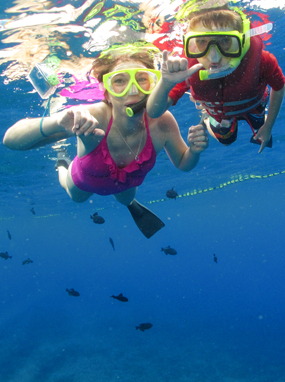 We offer a 5-hour Snorkel Adventure that heads out to both Molokini Crater and Turtle Town. 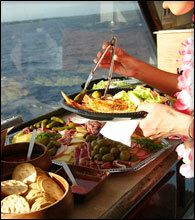 We provide our guests with a continental breakfast, savory lunch, open bar, all of your ocean gear. We also offer SNUBA. How much time will be spent snorkeling on the Whale Watching trip? We’ll snorkel for about an hour and then head out to do some Whale Watching. Whale sightings are guaranteed from December – March, but in the unlikely event that whales are not seen, you may return for a free Maui whale watching cruise. Is this just a SNUBA trip? 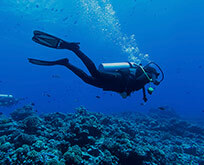 This is a snorkeling trip that offers our guests the opportunity to also do SNUBA all on one trip. Why can’t I just book SNUBA? 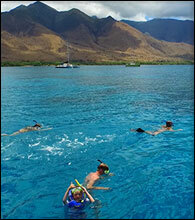 SNUBA is an optional upgrade that we offer on our Best Day on Maui Cruise. But this is not just a SNUBA trip. 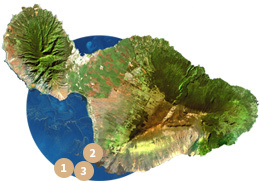 What happens if we can’t make it to Molokini Crater? 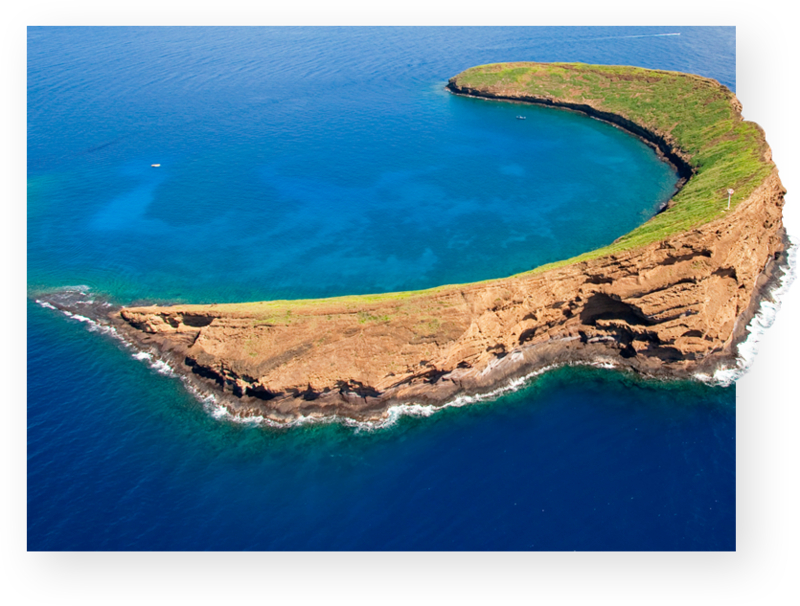 If we can’t make it to Molokini Crater our Captain will always make sure to get our guests out to another beautiful snorkel destination. Safety is always our number one priority and we want you to be safe and comfortable in the water at all times. It’s about 70 ft. at Molokini Crater and 30 ft. at Turtle Town. Is the water cold in the morning? The water temperature stays around 70 degrees year round but if you find that to be too cold for you, we do have wetsuits available on board for you to rent for $10 (cash). It’s very likely that we’ll see turtles, however, it’s not a guarantee being that they are wild life. But we’ll take you out to a location where they’re often seen. lau makani Life is in the gentle breath of wind. 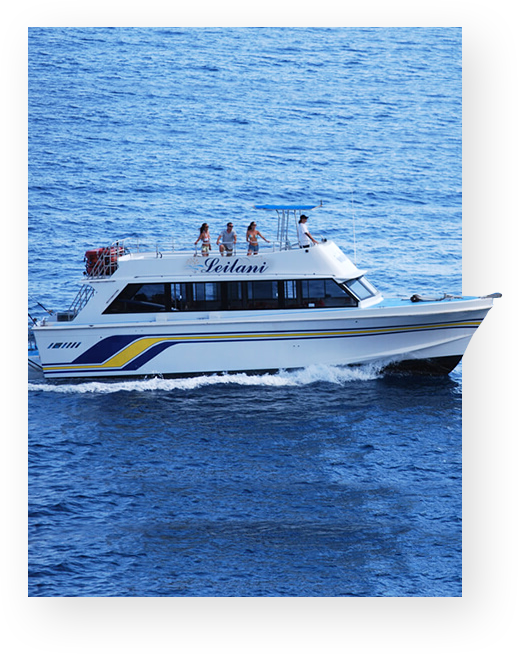 Enjoy 50’ Uniflite motor yacht for up to 40 passengers, owned by experts with 40 years of experience in Hawaiian waters. With ample space and comfort to move around, you’ll always have an incredible seat for majestic humpback whale sightings. 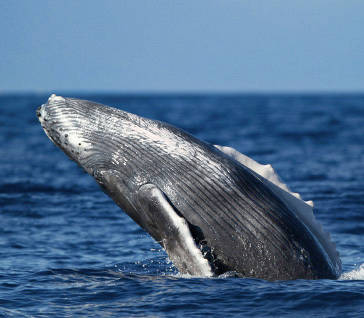 Whale watching in Maui is considered some of the best in the world as they make their way to Hawaiian waters every year to mate and give birth. Watching them is an exciting and exhilarating experience and one that you’ll remember for years to come! Offshore marine sanctuary whose sparkling clear water is only the beginning of an incredible experience and boat charter you will remember for years to come. Snorkeling at Molokini is an opportunity to experience marine life and ocean geography unlike other Maui snorkel locations. Choosing our Maui boat charter is an opportunity to enjoy the crater with fewer passengers and receive personalized attention. Enjoy three ocean activities at a very relaxed pace. Maximize your value by enjoying all of these popular ocean adventures on the same cruise. Includes exceptional snorkeling at Molokini and Turtle Town, whale watching, lunch, open bar, ocean gear (including viewport boogie boards for the keikis) and impeccable service. 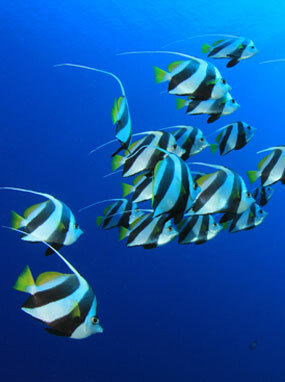 Whales, turtles, dolphins and many species of fishes and corals. This remarkable and amazing world is full of colors and life. 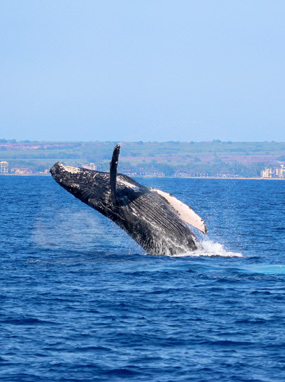 Maui whale watching season is December through March every year! These majestic humpback whales will leave you in awe! 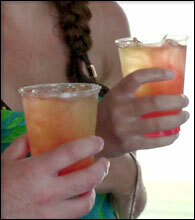 We had a group of 12 on the Leilani and the crew bbq'd for us and served us beverages from the open bar all day. We had Capitain Jason, Megan, and Tonya and they were awesome. We were treated well and fed well. I definitely recommend this group for private charters!! Thanks so much guys!